The National Inquiry approach respects protocols, symbols and ceremonies. These include lighting the qulliq, using the red willow basket, and giving gifts of reciprocity. Commissioner Qajaq Robinson, left, and Barbara Sevigny, right, look on during the lighting of the qulliq by Elder Rebecca Veevee at the Knowledge Keepers and Expert Hearing on a Human Rights Framework in Quebec City in May 2018. The Qulliq (Inuit Lamp) is incorporated into the Truth-Gathering Process. It symbolizes Inuit women’s strength, care, and love. The Qulliq represent the light and warmth provided at the hearth. The lamp is made for a woman as a gift from her husband. Then, as the owner, she becomes the flame keeper. Made of soapstone, the lamp is shaped in a half-moon to hold oil for burning. The oil is poured in, and then a mix of Suputi (Arctic Cotton) and Maniq (Moss) is delicately place along the groove. This wick then absorbs the oil and can be lit. Once lit, the wick burns slowly. The flame keeper tends to the lamp occasionally with a hook-shaped tool known as the taqquti. Inuit women have used the lamp to create warmth and energy by always tending to its light. The lamp serves the family as women have sewed warm clothes for their families next to the light, cooked by it, dried wet clothes, melted ice, and boiled water. We will light the qulliq at each Community Hearing throughout our truth-gathering process and at other times deemed appropriate for Inuit participants. We hope it will shine light into survivors and families journeys forward. 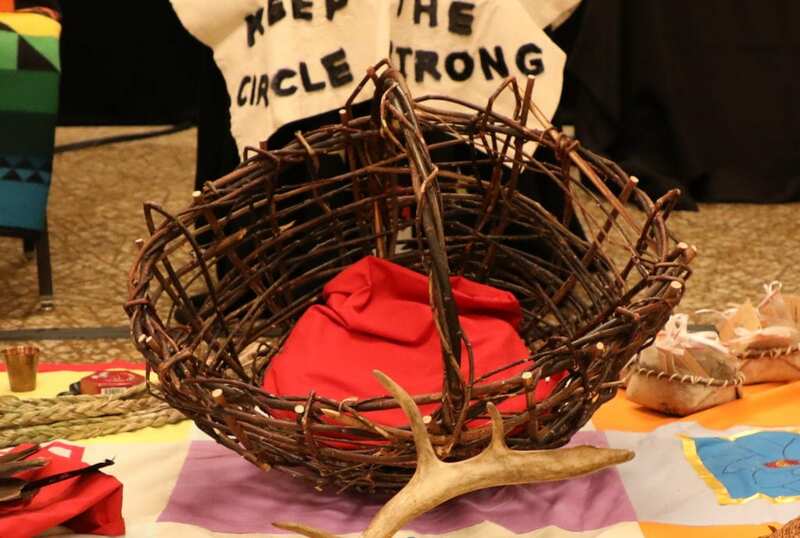 The National Inquiry will include the Miskwaabimaag Basket (red willow basket) at each of the hearings to symbolize the process of gathering truths. A Red Willow Basket represents women and symbolizes our continued connection to land, language, and culture through the ceremonies and teachings of Grandmothers and Elders. It is a visible reminder of women’s important role in building, strengthening, and repairing relationships as part of the reconciliation process. As the National Inquiry undertakes its work, the basket will hold all the truths we gather. The truths are teachings that will help guide us to work together towards a collective good life. The National Inquiry’s Red Willow Basket was created by a group of Indigenous women in Manitoba, called the Miskwaabiimaag Collective (Red Willow Collective). They gifted this basket to the National Inquiry to help us honour the stories of loved ones, families, and survivors of violence. The National Inquiry will provide gifts of reciprocity to those who participate in the Truth-Gathering Process. This gift giving symbolizes the relationship we hope to maintain between the National Inquiry and the people who share their truth with us. In many Indigenous cultures, gift giving and reciprocity are important elements for building and maintaining good relationships. Reciprocity acknowledges a mutual exchange of benefits or privileges. This is expressed through the act of exchanging gifts. The stories shared with us are gifts that will meaningfully help the National Inquiry. They should be acknowledged, respected, and treated as such. For Inuit participants, the National Inquiry is gifting Suputi (Arctic Cotton) and Mamaittuquti (Labrador Tea). Suputi keeps the qulliq lit, and Mamaittuquti can be enjoyed anytime, but has traditionally been used as a remedy for colds and stomach pains. 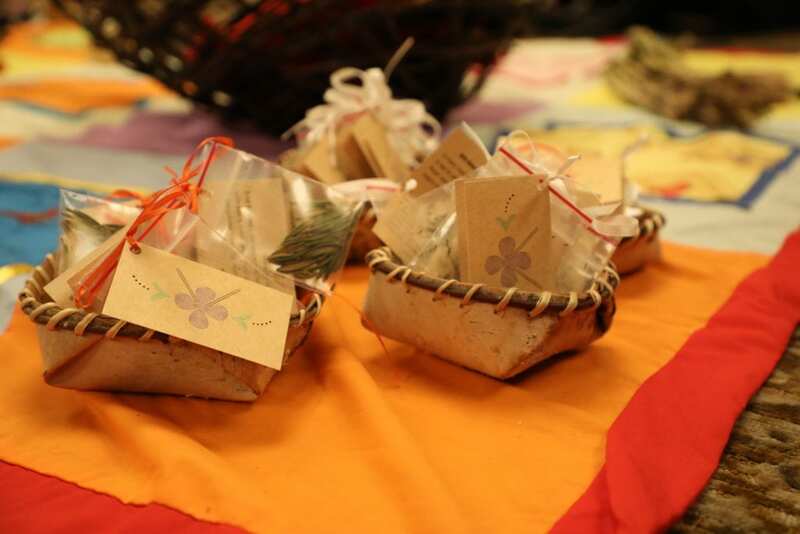 Our gift for Métis and First Nations participants is seeds. In the same way that we hope this is just the beginning of an ongoing relationship with the National Inquiry, we hope these seeds will take root and grow. It is our hope that families and survivors, if they wish, will keep us informed on how the seeds are growing through pictures, social media, and in-person conversations. We have chosen different types of seeds to gift, depending on the region: Strawberry, White Sage, Blue Aster, Forget-me-nots, Fireweed and White Yarrow.